Direct-to-Master Recording is a method of recording sound, where the music is performed entirely live and captured directly onto the master medium. This is usually done entirely in the analog domain using either magnetic tape or a phonograph disk as the recording medium. The result is an intense and realistic sonic image of the performance with an outstanding dynamic range. Sound recording technology has greatly evolved since the 1940's, when Direct-To-Master recording was not actually something special, but more like one of the few options for recording music. This evolution has enabled us to do things that would be unthinkable in those early days, such as multitrack recording, which allows different instruments to be recorded at different times, and mixed later to create what sounds like a performance by many instruments at the same time. The advent of digital audio workstations also means that apart from much greater multitracking capabilities of hundreds of tracks of separate recordings being layered over each other, these tracks can now also be edited note by note to compile a solid performance that can be altered or ``improved'' at will. This technological progress has made it possible for far less competent musicians to make a more or less competent sounding album and for washed out rock stars who, if all put in the same room at the same time, would probably murder each other, to make an album together. Or, at least almost together. This ability, however, comes at a certain cost. The recording process has been broken up into several stages, performed by different people in different environments. Typically, it starts with the recording or tracking session, where all the instruments are recorded, usually separately using multiple microphones and each microphone recorded onto a separate track which can be edited and processed individually. Then, these separate tracks go to the mixing stage where they are processed and edited even further and then mixed together into a coherent musical piece. This mix goes to the pre-mastering stage where the pre-mastering engineer processes it yet some more to optimise it for its final destination medium. Eventually, the pre-master goes to the final mastering stage where the mastering/transfer engineer processes it even more to successfully transfer it to the medium, that it is going to be commercially released in (vinyl record, cassette tape, CD, etc.). Aside from numerous processing units being used in all these stages, the recording actually has to be bounced to several different mediums to be taken from one stage to the next. In the analog domain, one would typically have a 2'' multi-track tape mixed down to 1/4'' or 1/2'' tape, mastered onto 1/4'' or 1/2'' tape and then transferred onto a lacquer disk for vinyl records, which would later be plated with a thin metal film to create the stampers, which would be used to press the vinyl records. Alternatively, the master tape could be copied onto a 1/2'' or 1'' tape loop, which would be copied onto 1/8'' tape, that would later be loaded into cassette shells. If you do the math, you will find that vinyl records are actually a fourth generation copy at best, while cassette tapes are a fifth generation copy. Each generation (copy of one tape onto another tape or disk) introduces losses in the form of an increase of the noise floor, greater distortion, high frequency loss, less definition and an extreme decrease in the the dynamic range of the recorded material. There are several myths regarding what exactly happens in the digital domain with several people claiming the ability to produce infinite copies without losses. This only holds true when producing identical copies of an audio file onto different storage mediums, which means identical copies of the same audio file onto different hard drives, USB sticks, or CD-Rs. But, it certainly does not hold true when performing signal processing operations, digital mixdown, format conversions and A/D or D/A conversions. So in the typical digital album creation, one would start with a bunch of A/D conversions from the analog microphone signals and related processors used during tracking into the digital audio workstation, then apply a variety of digital signal processing techniques. The multiple tracks are then sent off to the mixing stage, where they might need a sample rate and quantisation conversion for compatibility. There they undergo further digital signal processing and often D/A conversions to use outboard gear in the mixing studio, followed by more A/D conversions to get the signal back to the digital audio workstation, before performing a digital mixdown. Next it is sent to the pre-mastering studio which may work at a different sample rate and quantisation, where it would almost certainly undergo a D/A conversion to be sent to high quality analog signal processing units, then another A/D conversion to go back to digital. Next step is off to the final mastering, which again probably works at different a sample rate/quantisation and there, especially if you want to produce vinyl records, you need yet another D/A conversion and even more analog signal processing to protect the sensitive disk cutting equipment from the high frequency noise and other distortions created during the conversion processes, as well as to ensure that the material has been optimised for the disk medium, which would greatly improve sound quality and compatibility with a wide range of consumer systems. The less you know about what happens during A/D or D/A conversions, format conversion, DSP and digital mixdown processes, the better you will sleep at night. Especially the digital mixdown could cause so many different problems, that many engineers working in the digital domain nowadays, prefer to perform an individual D/A conversion on each track to bring them down to a good old analog mixing console, and do the mixing in the analog domain and recording the stereo output of the analog desk either onto analog tape or doing another A/D conversion to go back into the digital domain. This plethora of conversions end up doing similar and usually much worse things to sound as five generations of analog tape copies. Not to mention the various problems caused by digital signal processing at low sample rates, quantisation errors during the conversion processes and dithering. Well, at least these rock stars do not need to murder each other any more and the talentless singer can explore the wonderful world of auto tune to their heart's delight. So, what about the talented musicians? What about the musicians, who have spent decades honing their skills and multiple hours daily practising with their band? The ones, who will enter a studio, perform a flawless first take of their entire album, even with the songs in the correct order? Do musicians, who play together night after night in smoke and alcohol filled basements all over the world and can deliver fantastic performances of their songs, any time any place, really need advanced editing and signal processing capabilities? Especially if you add to this equation the fact, that such musicians usually perform on high quality instruments, that define their unique sound, together with a carefully created acoustic environment in the studio, there is very little, if anything at all, that needs to be worked on. Unfortunately, there is a common misconception, that everyone nowadays should do multi-track recording just because it can be done and can offer more flexibility. But why should such musicians sacrifice realism and sound quality for flexibility they do not need? Although such musicians are getting more and more rare, very little has changed for them through decades of advancements in music technology. As with any industry, in audio recording, the trends and developments tend to follow the masses, rather than the true talent. By removing unnecessary steps during the creation of an album the talent of the competent musician can really shine. In the modern multi-stage process the competent and less competent musicians are sort of equalised to the disadvantage of the more competent. With Direct-To-Master Recording there is no compromise and no room for errors either. The performance needs to be perfect and the sound needs to be just like how the musicians and producers want it to be, because not much can be done later. The performers enter the room, which contains a number of high quality microphones, carefully selected to capture the magic of each instrument. The musicians deliver their best performance, and the signals from the separate microphones undergo a very minimal analog signal processing, if any at all is required, before being mixed together on the fly on a high quality analog mixing console. The stereo signal of the mixing console is routed to the mastering processing units, which are also adjusted on the fly during a couple of rehearsals and the stereo signal from these is recorded directly on the master medium, analog tape or disk. This is essentially a one step process, and the master medium is a first generation analog recording with no further losses. The signal can and usually does remain entirely in the analog domain. A much greater dynamic range can be retained as well as greater transparency, since the signal path is kept as short as possible with only the absolutely necessary devices being connected during this process. The master recording is in itself the master and as such does not need any further processing before transferring it to the medium, in which it is going to be distributed to the consumer. Since this process contains far fewer steps and far fewer people are involved, it is also less expensive, compared to the modern multi-stage process. Since nothing can be edited or changed after the performance, everything needs to be done right from the beginning. This requires a lot more skill from the musicians and from the engineer on the controls. Very few engineers nowadays can actually pull this off and they are not getting any younger. So, while the quality is much higher and the cost is actually lower, this is clearly not for everyone. It is a technique reserved only for the suitably talented musicians, who can all be present in the recording session at the same time without any bloodshed. It can only be carried out by a suitably qualified engineer who has devoted time and thought to this process and can only be done in a purpose-built space with exceptionally high quality equipment. But when it can be done, it does make a huge difference! 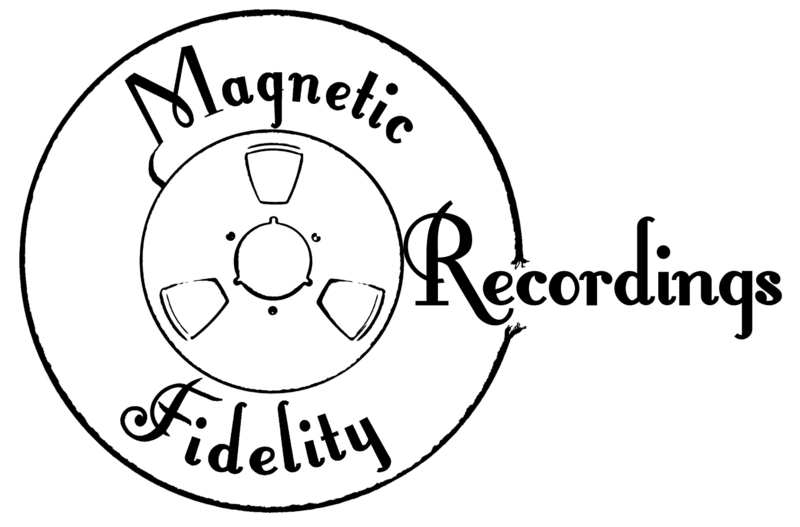 At Magnetic Fidelity, we take great pride in our Direct-To-Master Recording service. Our studio was originally designed as a mastering suite, but, early on in the design process, we included the necessary adjustments to create the ideal environment for Direct-To-Master recording. So, our studio was essentially purpose-built for this process. We took care of every little detail, from high quality building materials to a carefully designed electrical installation with power conditioning equipment, to the natural acoustic characteristics of our four separate recording rooms, which are wired in a way, that the musicians can either all play in one room or distributed in different rooms while still performing simultaneously. The mastering room, which is also the control room for the Direct-To-Master Recording, was given special consideration. It is a floating construction, internally made of high quality, locally sourced pine wood, with acoustic absorption, insulation, isolation, and mechanical decoupling materials, representing the bleeding edge of technological innovation. Together with our state of the art monitoring system, capable of reproducing an exceptionally wide range of frequencies, extending far below and above the human hearing range, we have the perfect environment to be able to fully appreciate every detailed aspect of the Direct-To-Master Recording process. In the early days of recorded music and later revivals of Direct-To-Master Recording, the focus was on orchestral and chamber music, usually using two to three microphones with little to no signal processing. We offer our service for a wide variety of musical styles and different sizes of ensembles, from Classical String Quartets to Avant-garde/Experimental Music, and from Free Jazz/ Traditional Jazz to Heavy Rock and even Harsh Noise, as well as Blues, Folk, Rock'n'Roll and everything in between. Depending on the task, we can use anything from just a stereo pair of high quality microphones plugged directly into an analog tape machine, to multiple microphones utilising both old fashioned far-miking and modern close-miking techniques as well as experimenting with our own unique microphone selection and placement ideas. We use a variety of microphones, often with vacuum tubes in them, connected to a selection of vacuum tube microphone preamplifiers, vacuum tube equalisers and vacuum tube compressors when such processing is needed. We do not use a traditional mixing console, as this has no place in a mastering studio. Instead, we use a 1950's style vacuum tube summing mixer with some rather unique functions to enhance stereophonic imaging. The stereo output of the summing mixer drives a vacuum tube driven mastering compressor and a passive hybrid parametric/pultec-style equaliser, with a vacuum tube gain make-up stage. The stereo master output is then fed to one or more of our analog tape machines and recorded directly onto the master tape, or fed to our custom analog disk cutting electronics of one of our disk mastering lathes for a direct-to-disk recording. Our setup was inspired by the recording studios of the 1940's and 50's but using more recent vacuum tube designs, benefiting from modern electronic component technology. The result is a highly authentic analog sound with an extremely wide dynamic range, a very low noise floor and increased transparency due to the extremely high headroom of vacuum tube electronics. Although vacuum tubes are often associated with a characteristic type of harmonic distortion, this does not always need to be the case. Vacuum tubes have an enormous headroom which means, that they can run very clean at much hotter signal levels before saturation sets in. Even at that point, saturation sets in slowly and pleasantly. Which means, that we can choose how hard we want to drive our system depending on if we want a crystal clear sound or a warm overdriven vacuum tube harmonic distortion. Another benefit we have nowadays, is that modern tape formulations have lower noise and a higher recording level can be obtained before saturation. This means that we can capture a much greater dynamic range than ever previously possible while having the option to hit the tape hard to produce the unique sound of tape saturation or to record at lower levels for a transparent and clean sound. We are also very much interested in the hypersonic effect. Humans can perceive frequency content well above the human hearing range and the presence of this content changes their perception of the music. Therefore, we have carefully selected, designed, built or modified every bit of equipment we use in our signal path to ensure that no part of the frequency spectrum is butchered out. Apart from the electronics, we also understand the importance of specialised acoustic environments for the creation of common sound effects, which were originally developed acoustically and nowadays unfortunately emulated digitally. We have designed and built several plate reverb systems as well as a couple of hall reverb structures, which can be used to produce a very natural acoustic reverberation. In addition, we have years of experience in the production of analog sound effects using tape manipulation techniques, such as tape echoes and loops to name but a few. These are not often required, but it is probably good to know, that if you need it, we have got it. Although we usually do stereophonic recordings, we are also known for our authentic monophonic recordings, when this is deemed the appropriate aesthetic. Many talented musicians have one thing in common: After recording and releasing several albums using the multi-stage approach, musicians are often disappointed by the result and end up believing, that they are only good in performing live and not much good in the studio. As band psychology is an important skill an audio engineer must possess, we always enjoy reversing this opinion and proving to disillusioned musicians, that they should not give up hope until they have tried our Direct-To-Master Recording service. If you can do a great live performance, we can make a great recording!